With higher energy prices on the horizon and environmental changes becoming increasingly severe, more businesses are looking towards solar power as the solution for the future. Having installed hundreds of solar PV systems across the country, Custom Solar is leading the way in making UK businesses more financially stable and environmentally sustainable. What is a commercial solar PV system? A Commercial solar PV system refers to the placement of solar panels on business premises to utilise the energy from the sun to generate electricity. Depending on the size of the installation, the electricity generated can meet a large portion, if not all, of the business’ energy needs and can go a long way to reducing energy bills. The benefits of a solar PV installation are also applicable to other sectors, such as public institutions, schools and blue light services. Solar panels are mounted on the roof of a building, adjacent land or even nearby water bodies and from there integrated into the business electrical network. The photovoltaic system, also known as a solar PV system, transforms the energy from the sun into electricity, which then powers the building’s energy requirements. 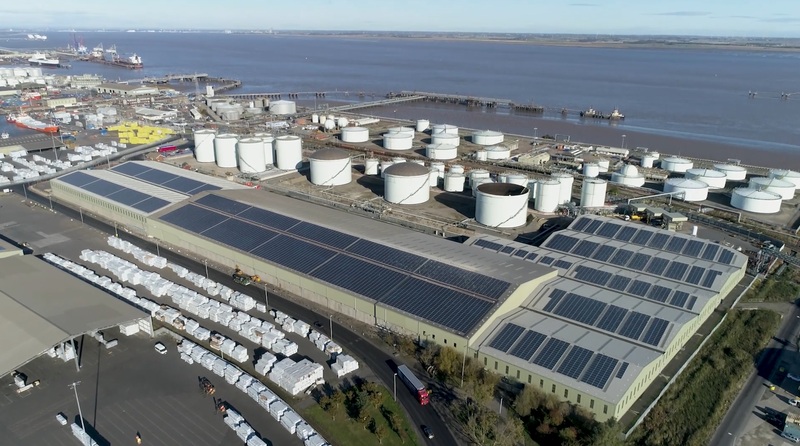 The solar panels generate electricity throughout the year, although they will naturally generate more in the summer, due to higher levels of irradiance and longer periods of sunlight. Why invest in a commercial solar installation? Many businesses today react to short term pressures – often with good reason. With the world economy in a constant state of flux and government policies becoming increasingly unpredictable, reacting to the present has become necessary to ensure not just growth, but survival. It is, however, businesses that are proactive in their approach to energy procurement that is securing their future supply and stabilizing their cost of power. The required investment in a commercial solar PV system has decreased significantly over the past decade due to a global surge in solar PV deployment, this investment can be funded in a variety of ways from Capital expenditure, asset finance and via Power Purchase Agreements that require zero contribution from the end user. Experts predict that energy prices from national providers will continue to rise, making sustainable energy solutions increasingly desirable. By investing in a solar PV system, business’ also stand to boost their green credentials. The catastrophic impact of fossil fuels on the environment has been proven time and time again, and companies should look to renewable energies instead to fight the effects of air pollution and global warming. Solar power is already cheaper than it’s grid alternative, yet the benefits of securing your supply and helping create a healthier world to do business in cannot be overlooked.